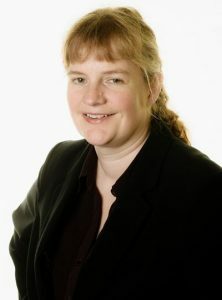 Partner and occupational illness expert, Belinda Lancaster, has won over £30,000 (gross) for a man who developed pneumoconiosis due to his working conditions. Exposure to fumes and dust. Mr B was born in 1945 and left school, aged 15, to work for a company that made roof support equipment for the mining industry. He remained with this company until around 1995, during which time he was exposed to large amounts of fumes and dust. His first job when joining the company involved spray painting and general assembly work. He was required to mix paint with thinners, which gave off fumes. When he was spray painting, he wore no protection other than a paper cup mask and there was no extraction system in the area. Mr B then moved on to be a welder, where clouds of welding smoke and fumes were given off. He was further exposed to fumes in his next role as a plater, which lasted for about three years. After this, Mr B moved into ‘development’, where he worked for about ten years. Here, he would work on prototypes, which involved using a flame cutter to cut pieces of steel, and welding equipment. Once again, he was exposed to large amounts of smoke and fumes. During his time welding at the company, Mr B was not provided with masks until around 1980, at which time he was provided with the paper cup type. Also, he was initially provided with a hand-held welding visor to protect from his eyes from the glare, which was replaced with a visor that was fixed to a band that was worn around the head. For the last five or six years with this company, Mr B worked in the inspection department, where he would regularly be exposed to clouds of coal and stone dust from the repair and maintenance of equipment that had been brought from the mines. Over the years, Mr B had been experiencing some breathlessness upon exertion but had just put it down to old age. His GP would prescribe antibiotics to deal with chest infections. However, in 2014, he experienced an attack of breathlessness that required paramedics to be called and he was taken to hospital where tests were carried out. Histology results showed that he was suffering from pneumoconiosis and doctors told him that it was linked to the various exposures at work. Mr B contacted Graysons to see if he could claim compensation for the exposure from the company he had worked for. The company had been sold and so Belinda pursued the current owners. That company accepted liability for Mr B’s condition and Belinda was able to negotiate a settlement of over £30,000. 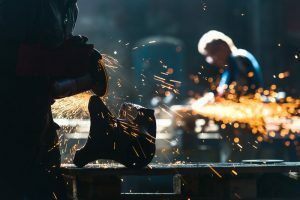 If you have been exposed to fumes or dust during your working time and have become ill because of it, or you have a relative who has died due to exposure, contact our experts now. We will make a free of charge appointment in which we can discuss your individual case and advise the best way forward. You can also find out more on our website. Author: Belinda Lancaster, partner and expert in occupational illness cases.